Choose from our range of quality, nearly new luxury cars. We currently have a number of nearly new car deals available at Grange on a range of different makes and models. Find your nearly new luxury car here below today. This vehicle is our latest demonstrator so mileage is subject to change. Our XF comes with a great selection of equipment and features which include Heated front, Heated steering wheel, Front and rear parking aid with surround sensors, Dynamic mode, Daytime running lights, Cruise control and a 10 inch front touchscreen entertainment monitor with a inbuilt Navigation system, DAB radio and Bluetooth audio streaming as well as phone connectivity. Our Jaguar XF comes with a great selection of equipment and features which includes 20inch satin dark grey finish alloys, Parking aid with a rear view camera, Meridian sound system, Heated front seats, Yellow stitching, 10 inch front entertainment monitor with a inbuilt Navigation system, DAB radio and Bluetooth audio streaming as well as phone connectivity. Stock cars available Immediately and all models for early delivery.Car shown is a F Pace 2.0D R Sport AWD Automatic with Extras included £49,890 and the F Pace model range starts from £35,020. Jaguar's most practical sports car brings together sporty handling and dramatic beauty with everyday practicality and efficiency. Demonstration car available for test drives. Our 5 seater Discovery Sport comes with a great selection of equipment and features which includes an Fixed panoramic roof, Meridian sound system, Heated front seats, Cruise control, Parking aid with a rear view camera, Navigation system, DAB radio and Bluetooth audio streaming as well as phone connectivity. This car is in stock at Land Rover Hatfield. Our Range Rover Evoque is our latest pre reg vehicle coming with just delivery mileage, This model comes with a great selection of equipment and features which include an Fixed panoramic roof, Heated front seats and steering wheel, Front and rear parking aid with a 360 degree camera system, Meridian sound system, Cruise control, Ambient lighting, 10 inch touch screen entertainment monitor with a Navigation system, DAB radio and Bluetooth audio streaming as well as phone connectivity. Specifications and Equipment includes Taurus Leather Seats, 10 Way Power Front Seats, Black Pack ( Contrast Roof &plus; 20 Inch Black Alloy Wheels), 7 Seat Configuration, Cruise Control, DAB Radio, Daytime Running Lights, Heated Front Seats, Heated Steering Wheel, Hi-Line Audio System, Incontrol Apps, Incontrol Connect, Navigation System SD Card, Rear View Camera, Reduced Section Steel Spare Wheel, SOS Call, Start/Stop, Privacy Glass, Upgrade Cabin Lighting, Wifi Hotspot and many more features. Call us now to arrange your Test Drive. This car will be available for delivery as from mid of March 2019. It alos comes with 2 Years Approved Used Land Rover Warranty for a peace of mind. This car is in stock at Land Rover Woodford. This Pre-Reg Range Rover Evoque comes with only delivery miles on the clock beating the queue from ordering for new. This Evoque comes with Black pack, Heated seats and steering wheel, Tech pack, Privacy glass on the rear, Reduced size spare wheel. This Evoque is our latest pre reg vehicle coming only with delivery mileage. Our Range Rover Evoques comes with a great selection of equipment and features which includes a Fixed panoramic roof, Meridian sound system, Heated leather steering wheel and front seats, Front and rear parking aid with a 360 degree camera system, Dynamic mode, Cruise control, Daytime running lights and comes with a 10 inch touchscreen entertainment monitor with a inbuilt Navigation system, DAB radio and Bluetooth audio streaming as well as phone connectivity. Specifications and equipment includes Cold Climate Pack, 19inch Satin Dark Grey Alloy Wheels Style 5031, Heated and Power Fold Mirrors, Meridian Sound System, DAB Radio, Interior Mood Lighting, Auto Dimming Rear View Mirror, Reverse Park Control, Front Park Aid, Rear View Camera, Xenon Headlamps with LED Signature, Headlamp Powerwash, Heated Washer Jets, MFD Single View Screen, Heated Front Windscreen, Keyless Entry and Start, Electric and Heated front Seats, Heated Steering Wheel, CD/DVD Player, SOS/Assistance Call, City and Urban Intel Emergency Braking, Cruise Control, Privacy Glass, TSR/ Adaptive Speed Limiter, Pro Services and Wi-Fi Hotspot, Lane Departure Warning, JaguarVoice. 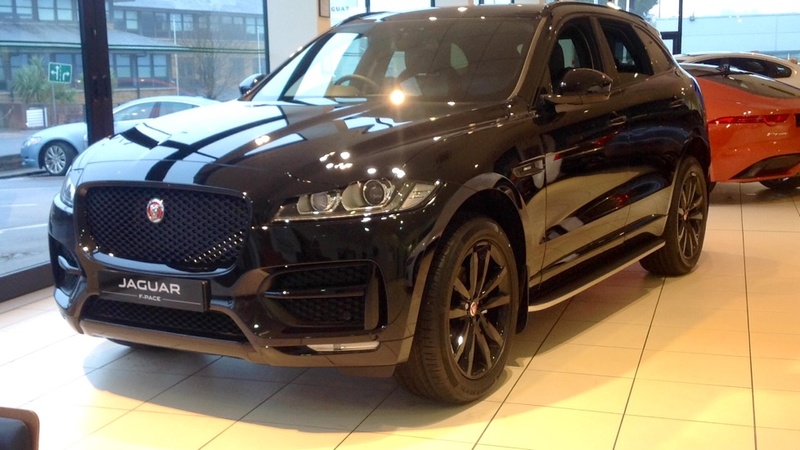 This car is in stock at Jaguar Barnet. 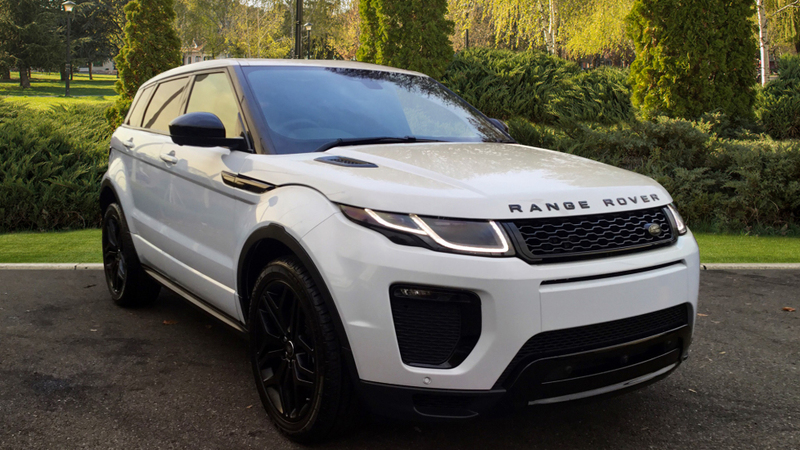 Our Range Rover Evoque is our latest pre reg vehicle coming with just delivery mileage, This model comes with a great selection of equipment and features which include Heated seats, Front and rear parking aid with a rear view camera, Cruise control, Navigation system, DAB radio and Bluetooth audio streaming as well as phone connectivity.